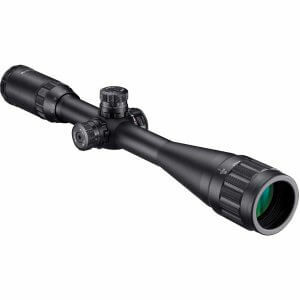 The 6-24x50 AO IR Blackhawk Rifle Scope by Barska has been designed to provide pin-point accuracy and rugged durability that you can depend on. 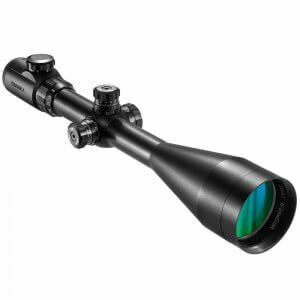 Whether at the range or on the hunt, the 6-24x50 Blackhawk Rifle Scope puts your shots on the target with its precision optics. 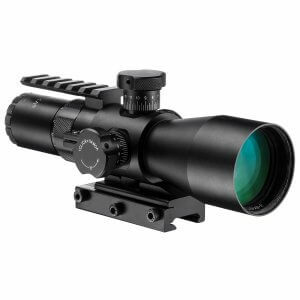 AnIlluminated Red/Green Mil-Dot Reticle (IR) can be adjusted to 5 different levels of brightness, which allows the user to fine-tune the reticle for optimal performance in any lighting situation. 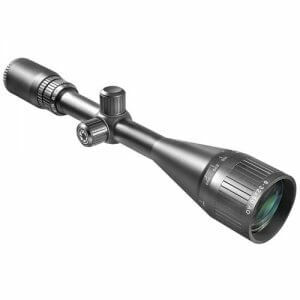 AnAdjustable Objective (AO) Lens allows for quick and easy Parallax Correction, while Fully Multi-Coated Optics help increase light transmission to produce an extremely clear image. Uncapped turrets allow for quick adjustments to the windage/elevation settings, which can then be locked into place to prevent any unintentional movement. 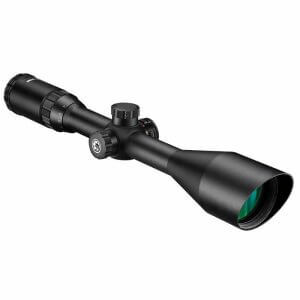 The 6-24x50 Blackhawk Rifle Scope comes well-equipped with a number of advanced features at an unbeatable price, and is backed by Barska's Limited Lifetime Warranty. 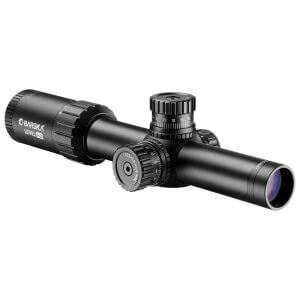 Great scope for the price and performance. Second Barska purchase. 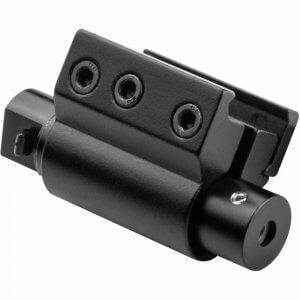 Recently got one of these on Black Friday for a new CZ 455 Varmint that I bought. I tend to shoot at 100 yards and this scope allows me to see each hit nice and clearly with Shoot-N-See and even plain paper depending on the colors. Also love the dual color reticle illumination though I haven't used them much. Picture is clear, eye relief is decent, locking turrets are a nice addition and I love the sun shade it comes with. When I decide to get bigger/better scope, I'll be checking here first. 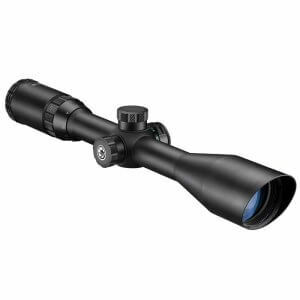 Excellent scope Hi-power at 100yds you don't need a spotter to see grouping, pin point accuracy. Clean clear view at the highest settings. lockable turrets make a good deal a whole lot better. 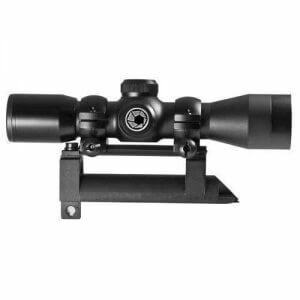 Had purchased a high dollar scope for my AR15. 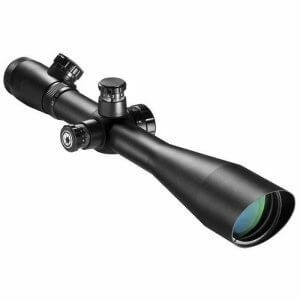 After building a 6.5 Grendel I was looking for another scope the high dollar one I found lacking. Purchased this one on a whim and paid half price that I paid for the other. 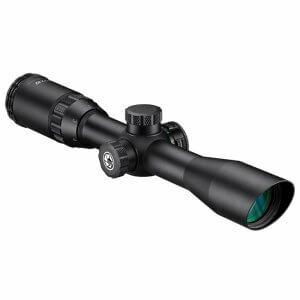 I wish I could return the higher priced one for this is twice the scope the other one is. 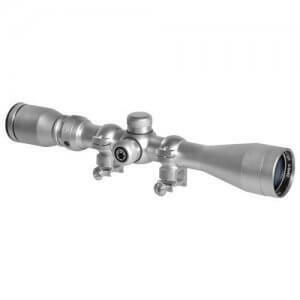 Am ordering another one and selling the higher priced one Barska scopes rule in my book.